Such a cute little fishy, Tracey! Very cute card!!! I love that fish and the embossed paper behind it. Cute cute!! love this!!! love dory from finding nemo! Great card - wonderful colours and great take on that sketch. Enjoy your busy week! Such a cute card. That fish is really sweet. LOL, this just makes me giggle...and want to go swimming! I hope your daughter does well at cheer school....I am in PA, too, but its a BIG state! Love the fish and the sweet sentiment!. Hope that helped you relax a bit. I agree it has been a very buys summer . This reminds me of finding Nemo! Ok...don't judge I'm an adult with an adult son and yes I've seen the movie LOL! Along with the Lion King, Shrek, Toy Story(s)...Anyway this is adorable! Have fun at American Idol Live! I'm tired just reading about your week! I feel the same way...busiest summer in my book! Hope you have fun at AI!!! Love this adorable fish! Tracey, I hope you have a blast at American Idol! Sounds like you deserve some relaxing fun. I love this darling card you created for CAS-ual Fridays! The image is adorable and those rounded corners are perfect! Thanks for playing along!! Oh this is cute ~ the sentiment fits in nicely with your summer! Thanks so much for playing with us this week at CAS-ual Fridays and I hope you enjoy the American Idol show! What an adorable card!! Love how you positioned your fish in the corner and that sentiment is one of my life sayings:)!! Hope you have fun at the American Idol concert...sounds like great fun...great time to relax with friends after getting your children on their way:)!! 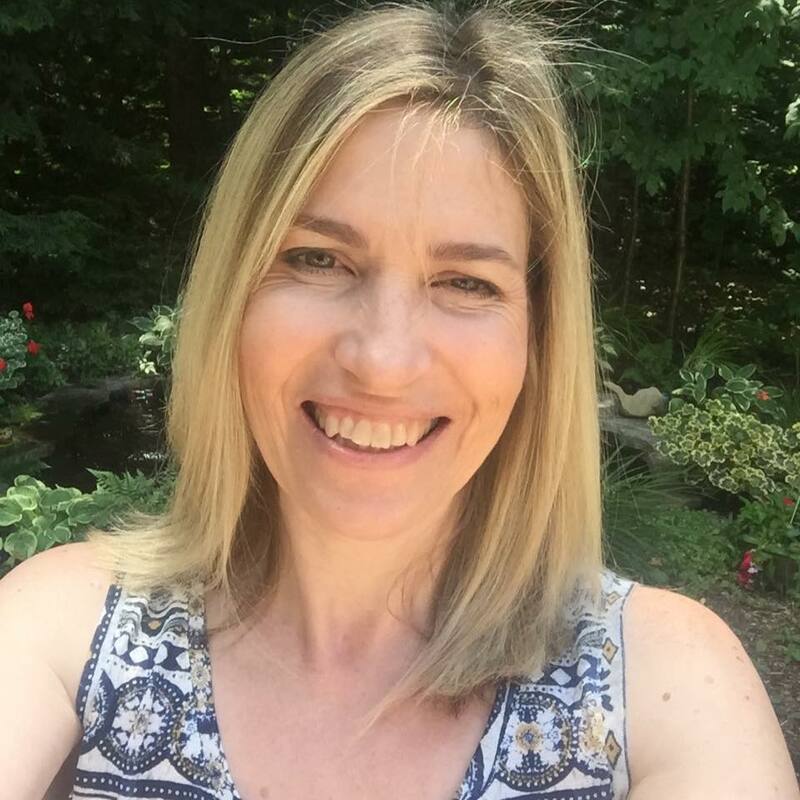 Thanks so much for being a part of the challenge this week at CAS-ual Fridays, Tracey:)!! Oh my goodness - that chubby little fishy is too cute for words! Love him! Thanks so much for playing with us at CAS-ual Fridays! We're so glad you did!! Tracey, that fish is so cute and I love the texture in the scalloped edges and embossed dots on that paper! Just too darn cute...what an adorable fish! Adorable card! I love the sentiment :) Hope you enjoyed the concert! Super CUTE Tracey! LOVE the corner rounding!!! Too cute!!!!!!!!! 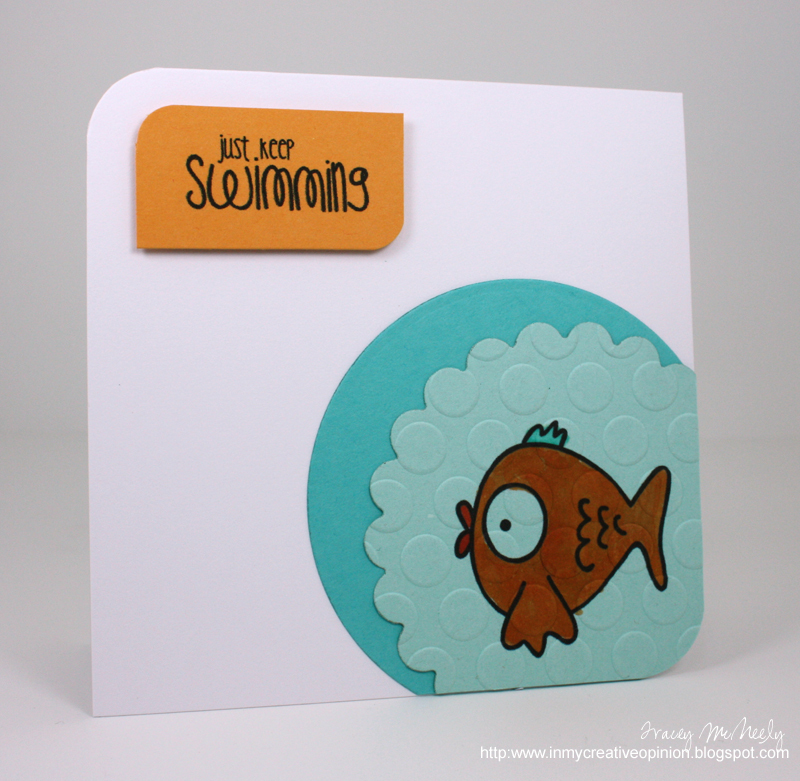 Love the opposing rounded corners and what a cute fishy!!! Thanks for your blog visit too :) Happy Anniversary too! So, so adorable, Tracey! 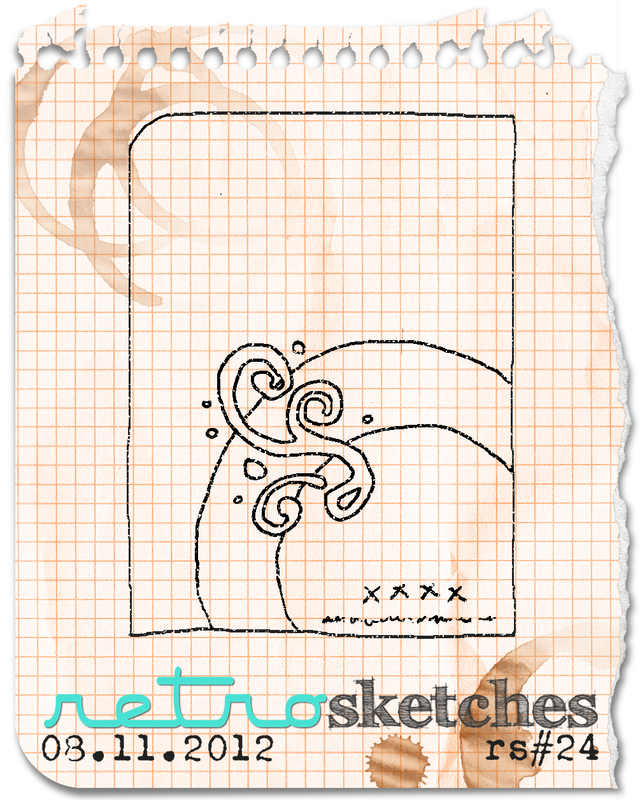 And this week the challenge on CAS-ual Fridays is something ocean-related! Funny, how sometimes a lot of our CAS challenges blend. 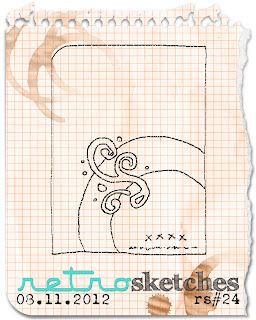 Anyway, it's perfect for all the ones you played in, especially the retrosketch which left me clueless!